Accommodation rates include cooked breakfast and free off street parking to rear of house. Free Wifi for guests. 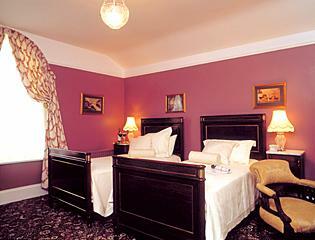 Special Offer February: Monday to Thursday Double/Twin Room including breakfast €100, subject to availability. Taking reservations for upcoming events i.e. National Ploughing Championships & Electric Picnic Festival. Reservations may be made by using our secure booking form, HERE. You may also contact us via email at info@ivyleigh.com, or phone or fax us on the numbers at the foot of the page. "Such a beautiful house, I hate to leave. Thank you for the friendship and lovely food."